At Newman Family Dentistry, we have many options to whiten teeth, straighten crooked teeth, repair chips and cracks, and fill in gaps. But if you have more than one aspect of your smile you'd like to change, veneers might be the perfect solution for you. Veneers are strong, thin shells typically made from porcelain and fused to the outward surface of your front teeth. They are shaped to look just like your natural teeth except a little straighter, a little whiter, and perfectly positioned to give you your ideal smile. Once you decide you want veneers, you can receive them in as few as two visits. During the first visit, we'll prep your front teeth and take an impression, which we'll use to create your new porcelain veneers. At this time we may place temporary veneers until the permanent ones are ready. At a dental lab, your impressions will be used to craft permanent porcelain veneers, shaped using advanced technology to make the changes you want to see in your smile. In the second visit, final adjustments will be made to fit and color and your permanent veneers will be securely fastened to your front teeth. We may want you to come back once more for a follow up, but that's it. In two or three visits you have a completely new smile. Will veneers affect my ability to chew and speak? Veneers are strong and stable, so you can chew with them just like you would with your natural teeth. Though you will want to avoid chomping down on ice or cracking nuts with your teeth. If they significantly change the shape of your teeth, they may take a little getting used to, but after a few days you'll likely forget they're even there. They shouldn't noticeably affect your speech or prevent you from eating foods you love. Properly placed and cared for veneers can last 20 years or more. If they do become loose, you'll need to get them replaced. But if you exercise good dental hygiene and don't use them to open bottle caps, most people can expect veneers to last for a long, long time. That depends on several factors. Because veneers are considered a cosmetic dental procedure, they generally aren't covered by insurance. As far as the upfront cost, veneers are generally more expensive than most other options, but they will likely outlast other options as well. So in the long run, you may decide the cost of veneers is well worth it. Good question. 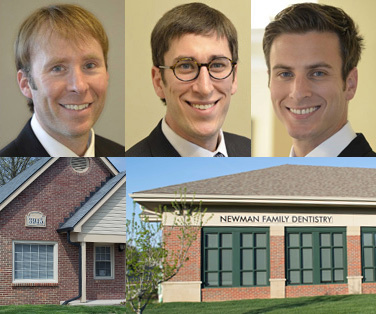 Schedule a consultation at Newman Family Dentistry and one of our dentists will be happy to discuss whether porcelain veneers are right for you as well as other cosmetic dentistry options if you wish. We have locations in Carmel and Indianapolis for your convenience. We look forward to meeting you and helping you achieve your perfect smile.